Take big bits out of this crunchy soft egg rolls recipe. -in a dry bowl add all the dry ingredients together and mix. -add warm water in bits until you have a smooth stretchy dough, knead very well. -make sure it’s soft and not sticky. -allow dough to rest in a warm place for 20 mins. -after 20 mins knead dough again. -pick each dough one at a time, flatten on your palms and stuck in 1 egg. -now cover up the egg with the dough properly and smotten with your palms carefully. 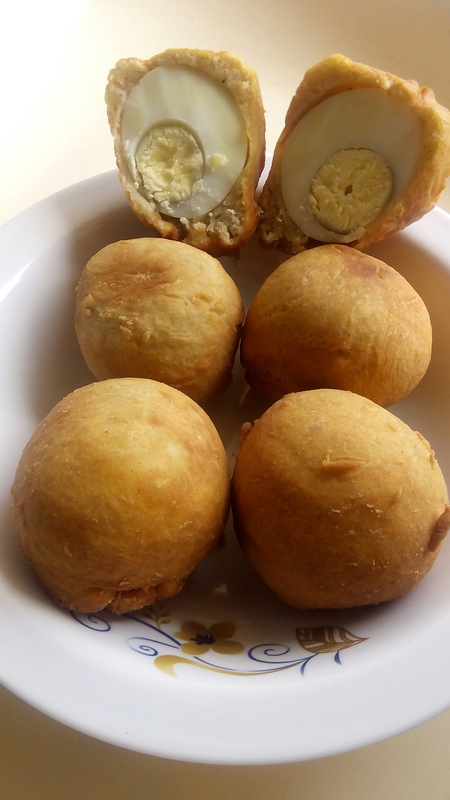 -keep aside and repeat same process for the remaining 4 dough and eggs. 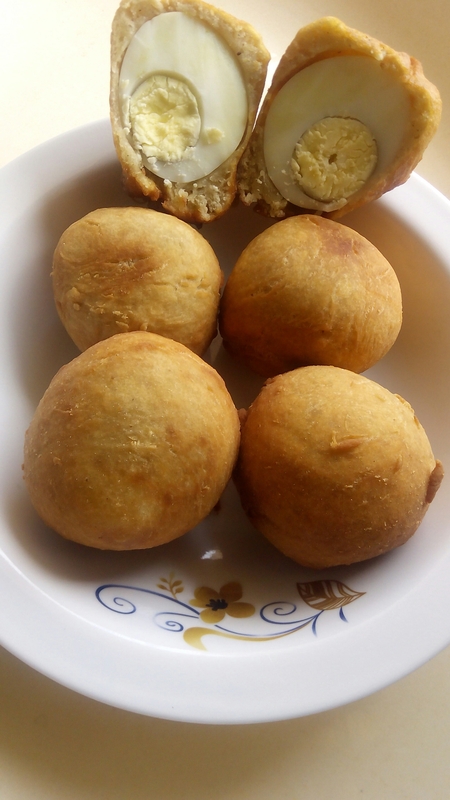 -heat vegetable oil and drop each egg roll one at a time and fry on low heat till golden brown (frying on low heat gives it time to cook properly). NB:do not fry on high heat else you will end up with raw egg rolls from the inside. After frying remove excess oil from the egg rolls using a colander.